St. Valentine's Day is just around the corner! On the Pingo's Facebook page we are currently running a GIVEAWAY. Share with us your secret wish for St. Valentine's day and you can win a pattern on your choice! Are you waiting for a surprise... a lovely note, a weekend away or maybe a yarn bouquet? :o) The rules are pretty simple - like and share Pingo's FB page and write your wish in the comments under the original post in FB and you will take part in the giveaway. 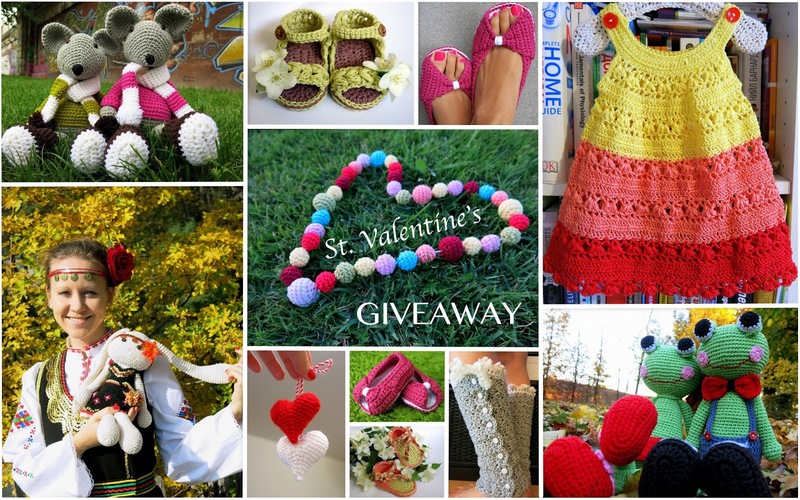 The three winners will be announced on 6th of February. The patterns are available at Pingo's shops: Etsy and Ravelry!